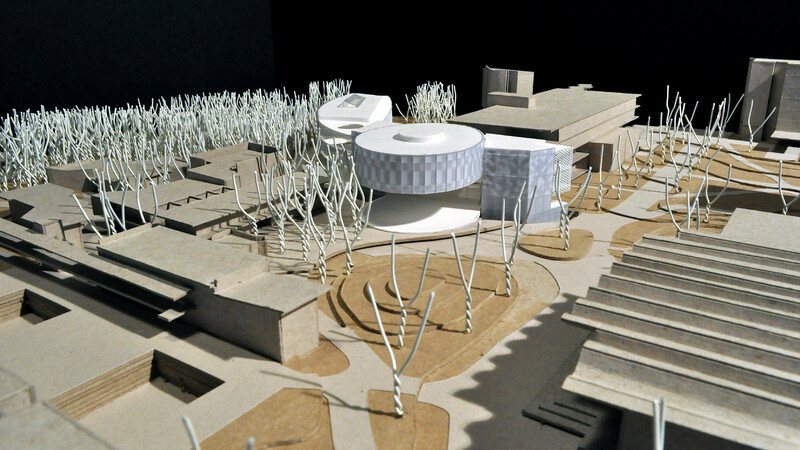 The University of California, San Diego’s new 60,000 square-foot Innovation and Academic Learning Center will be located on the site of the now defunct Craft Center. 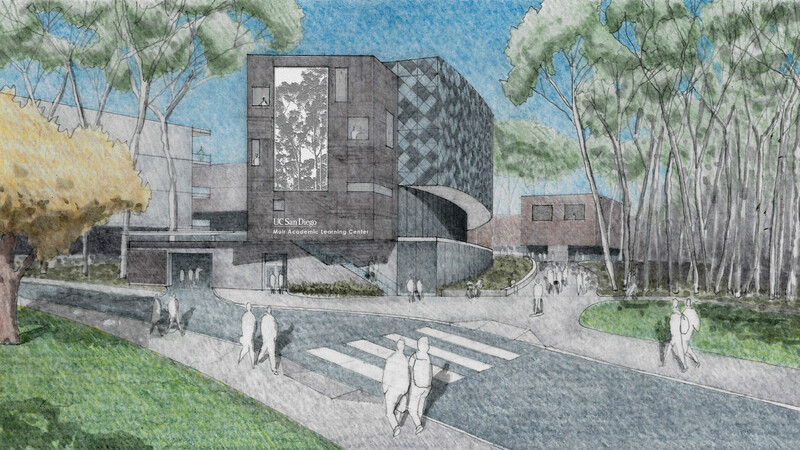 The new building will house the re-imagined Craft Center, a new Academic Learning Center, a 350-seat interactive auditorium in-the-round and flexible academic surge space. The concept for the building is structured around the idea of ‘weaving’ together different, but overlapping programmatic elements into an integrated and collaborative whole. 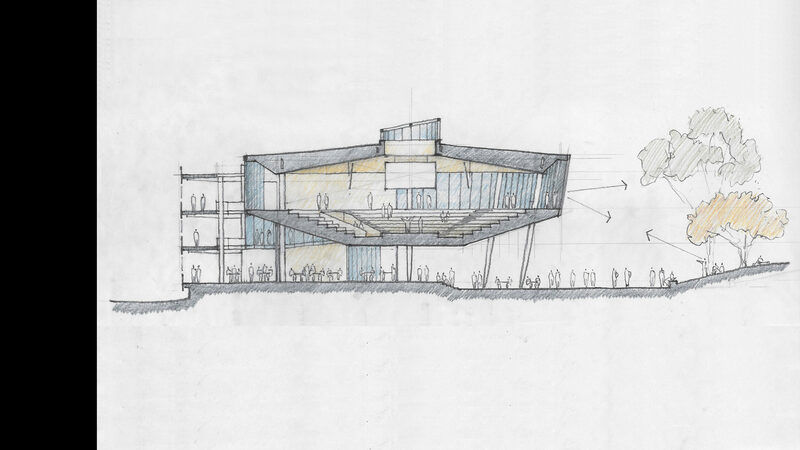 The ‘weaving’ concept permeates the design, from the shape of the building and the way it positions itself on the site, to the connections it facilitates, the spaces it reinforces and activates, and the address and identity it establishes. This concept also serves to focus more detailed aspects of the design, from the interweaving of interior and exterior spaces, to themes that articulate the exterior wall and the materiality of the building. 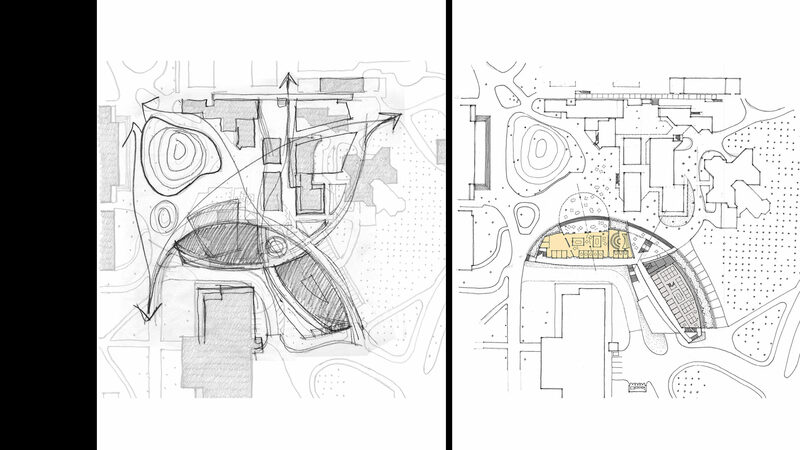 To better integrate itself into the informal character of Muir College, the new building takes on an organic form, allowing it to slip into the dense fabric of the site, respect existing and desired circulation paths, and create strong connections from the Ridge Walk, the academic side of the site, down to Gilman Drive, the more public side of the site. The three-story West Wing occupies the site of the existing Craft Center. 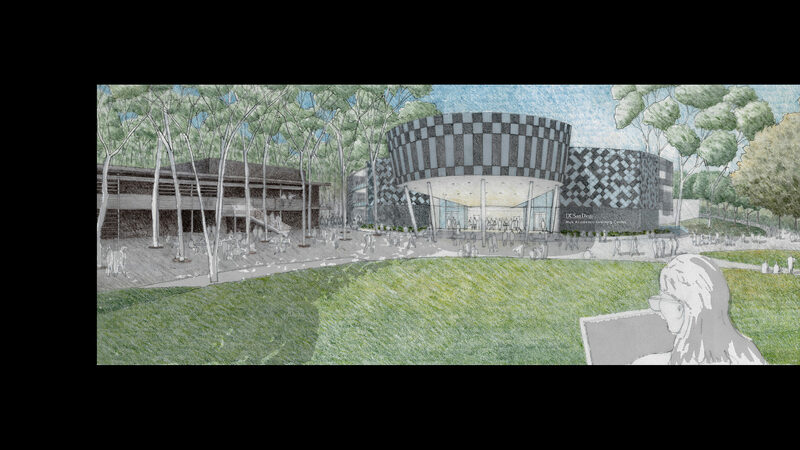 It clearly defines the southern edge of the plaza adjacent to the original student center and houses the Academic Learning Center and the new 350-seat Auditorium which sits above the Collaboratory and overlooks the revitalized plaza. Below, an interactive forum for events flows from the building out into the plaza and further activates this important intersection of cross campus circulation. 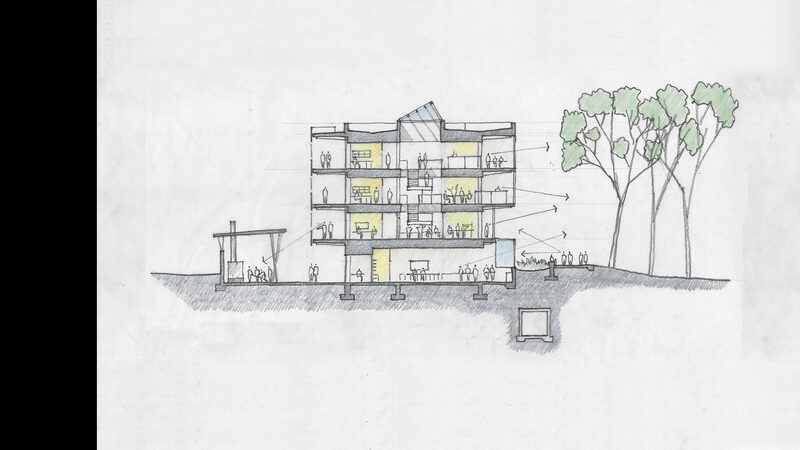 The four-story South Wing houses the Craft Center with an open air courtyard providing service access and space for glass blowing, ceramics and other activities. Above, three floors of flexible academic surge space, linked by an atrium, create a strong presence and public image out to Gilman Drive. 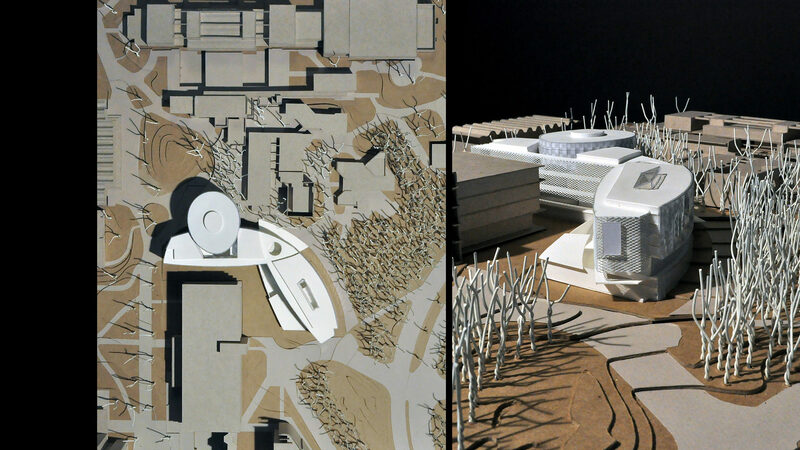 The new center sits at the edge of the Grove, one of the most powerful and unique spatial typologies on campus. Composed of gridded Eucalyptus trees, this iconic and paradoxical landscape is simultaneously natural, man-made, organic and ordered. The trees define a powerful sense of space that create unique spatial qualities of connection, movement, sight, and shelter with beautiful patterns of dappled light. The organic forms, tectonics and materials of OFFICE 52’s design draw heavily on themes and spatial types from the Grove. The diagonal patterns of clear and fritted glass on the building’s upper floors define a geometry that, like the Grove, is gridded, but off the orthogonal. 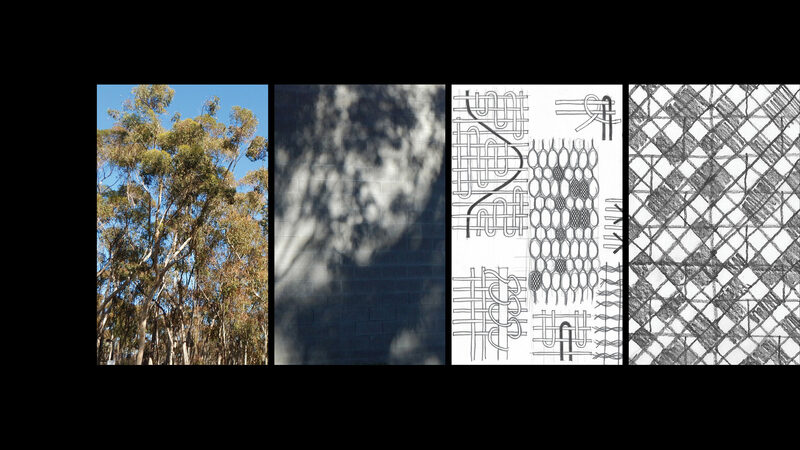 The pattern references themes of weaving and the dappled light and shadow of the campus’ most iconic landscape. In this way, the new building reinforces the more informal character of Muir College and offers a strong contrast to the formality of the neighboring Revelle College.